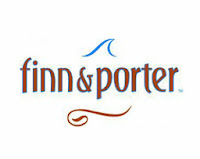 I was invited by Finn + Porter to sample their new fall menu by Chef Peter Maffei. 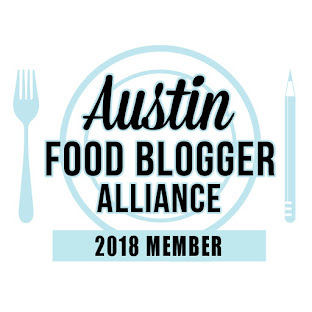 Located in the downtown Hilton Hotel, Finn + Porter hasn't really been on my radar as an Austin dining destination, but it surely is now. 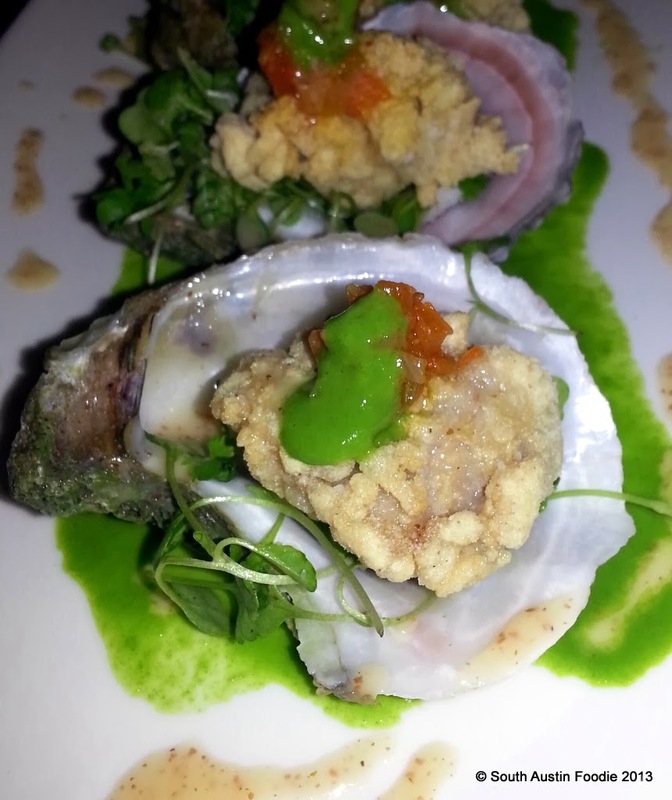 The staff and the food were delightful; here's the rundown of the 14 courses (!!) they presented to myself and my friend. And no, we did not eat all of it, and they were gracious to provide to go boxes! Gracious doesn't even begin to describe the entire staff -- they were fantastic, as was the food. 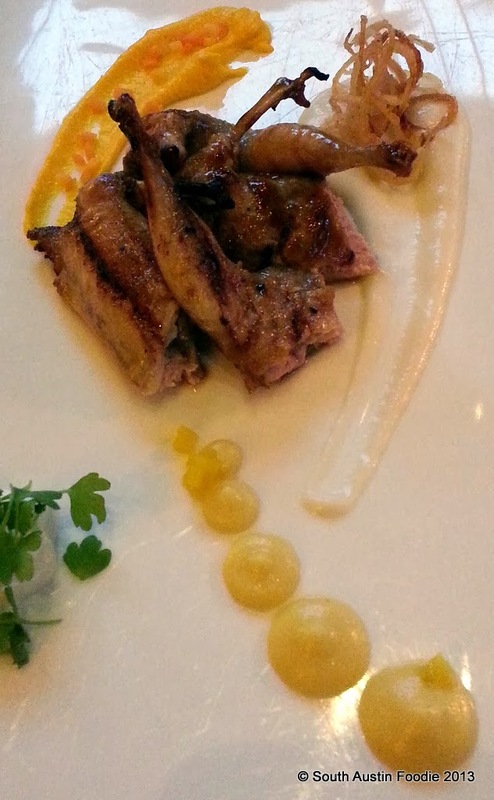 Lockhart quail with celery root, golden beet, leek, carrot. While not the best photo to start things off with, these little guys were tasty and the different vegetable purees went nicely with it. 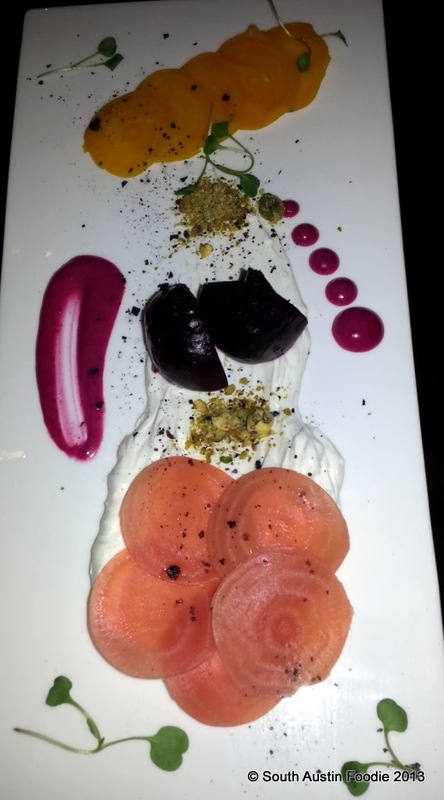 Trio of beets with Wateroak Farms chevre, pistachios, arugula, beet vinaigrette. Really pretty simple, and one of my favorite dishes from the whole evening. The addition of pistachio was almost revelatory, and the Wateroak Farms chevre was very mild and incredibly creamy. Crispy Gulf oysters with a masa crust, with arugula, celery, tomato chutney, pickled shallot vinaigrette. A little thick on the crust, but a gorgeous presentation, and a great pop from the tomato chutney. Soy-glazed Richardson Farms pork belly, with Asian pear, celery, balsamic teriyaki. I rarely have met a pork belly I didn't like, and that sweet little square of Asian pear made these two-bite cubes of savory pork just perfect. 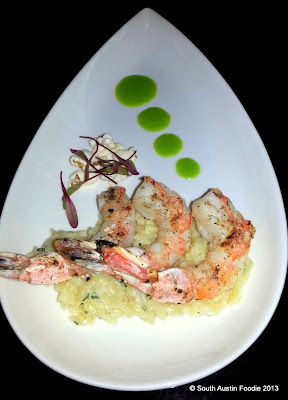 Gulf shrimp with smoked salt, truffled orzo, chives. I think the chef was impressed that I could tell it was smoked salt on the shrimp. I knew they weren't grilled enough to take on the nice smoky flavor on their own. The shrimp on their own were great, but almost overshadowed by the accompanying orzo. Creamy and just the right amount of truffle. Beef cheek ravioli with little neck clam ragout, root vegetables, arugula. Chef Peter said to get a bite with a little bit of everything, and he was right -- all the tastes together for one big party! 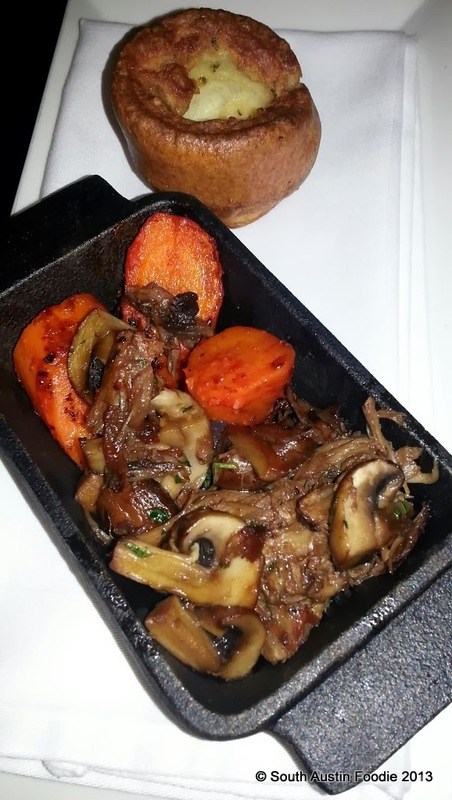 Braised local lamb shank with roasted carrot, mushroom, tarragon, and a rosemary popover. Loved the little cast iron dish the lamb came in; this is really such a perfect fall dish. The popover would have been great if it was served straight from the oven. 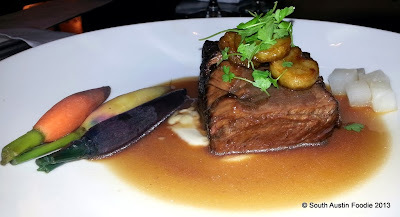 Beef short rib with roasted bone marrow, fall root vegetables, and beef consomme. This was another one of my favorites, and it was juicy (and not just from the consomme) and fork-tender. 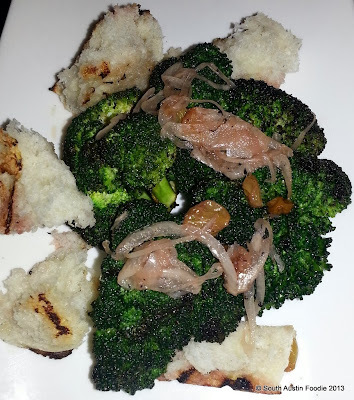 Striped bass with sourdough crust, broccoli, ricotta gnocchi, sweet potato. 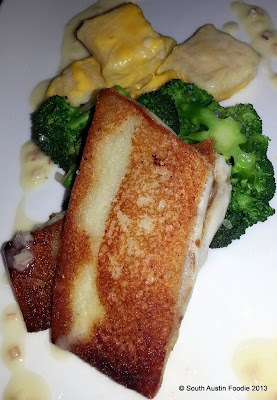 I was intrigued by the technique employed here; they took a very think piece of sourdough and basically adhered it to the fish, and pan-sauteed it to give it the look of the skin. It came out really nice and crisp with perfectly flaky fish underneath. Chef Peter called it a grilled cheese without the cheese. The gnocchi was a bit dense for my taste. 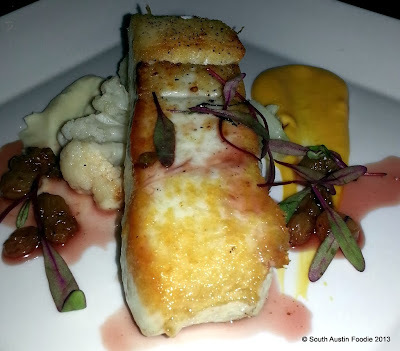 Halibut with roasted cauliflower, butternut squash, raisins, verjus. Great use of fall flavors here. 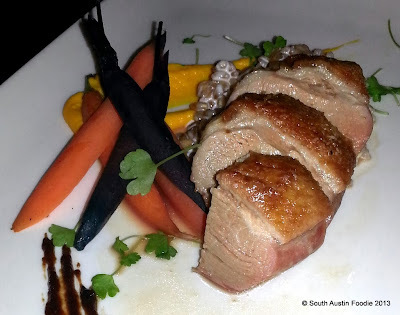 Duck breast with farro, heirloom carrots two ways, raisin puree. This was a huge serving of duck breast , and the raisin puree really went nicely. Duck generally needs something sweet/tart, and the raisin puree was a lovely spin. Meat trio of Strube Ranch Wagyu strip steak, brined pork chop, and filet mignon, with bacon and potato terrine. For this last entree, they plated three separate meat dishes onto one plate so we could finish with a hearty morsel. We were so stuffed at this point, we could barely eat more than a bite of each. All were delicious, but for me the filet was the standout. And *finally* dessert! Chocolate peanut butter mousse with toasted marshmallow and banana sorbet. A little sweet and a little savory, and surprisingly fairly light. Chef Peter brought every dish out to us personally, and he talked about how he tries to find local as much as possible. 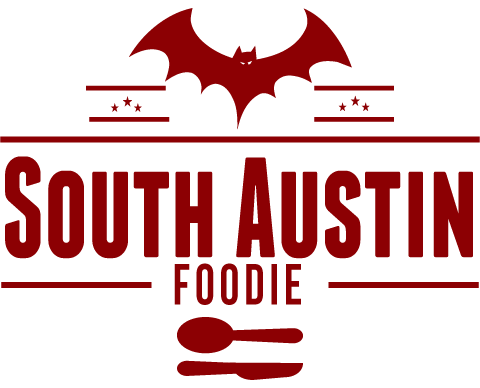 He started creating the menu earlier this spring, and is already working on concepts for next spring's offerings. 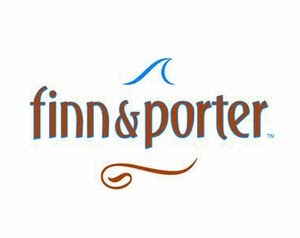 Finn + Porter's fall menu has something for everyone, I was just lucky enough to be able to try almost all of it! Disclaimer: They invited me for a meal, no money exchanged hands. They did not even ask me for a blog post, but I am happy to sing their praises. Well done, girl! Nice pictures, great commentary. Now I am really hungry!